for this blanket i have not bought 1 single centimeter of yarn, all the yarn is from my stash. that is the reason for the edge of simple bright pink stitches, i just didn’t have a sufficient amount of a bright color to create a real border. the blanket looks quite unusual and i am not to sure about the result, but i think i already have a destination for the it, i will tell you about that another time. 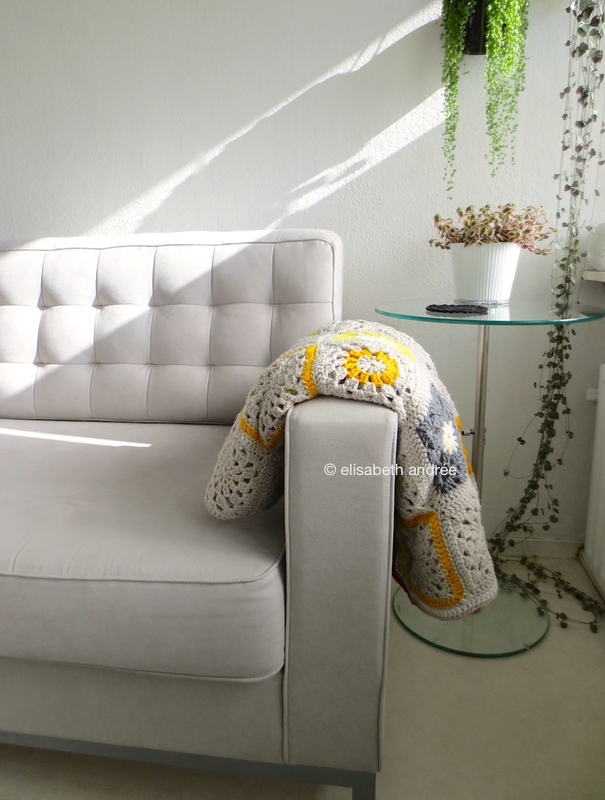 if you haven’t been able to visit my previous blog post, i have a question there for crocheters, i hope you will take look. that is all for this week, but below there are some more pictures to see! wish you a very nice weekend and hopefully we will meet again soon! 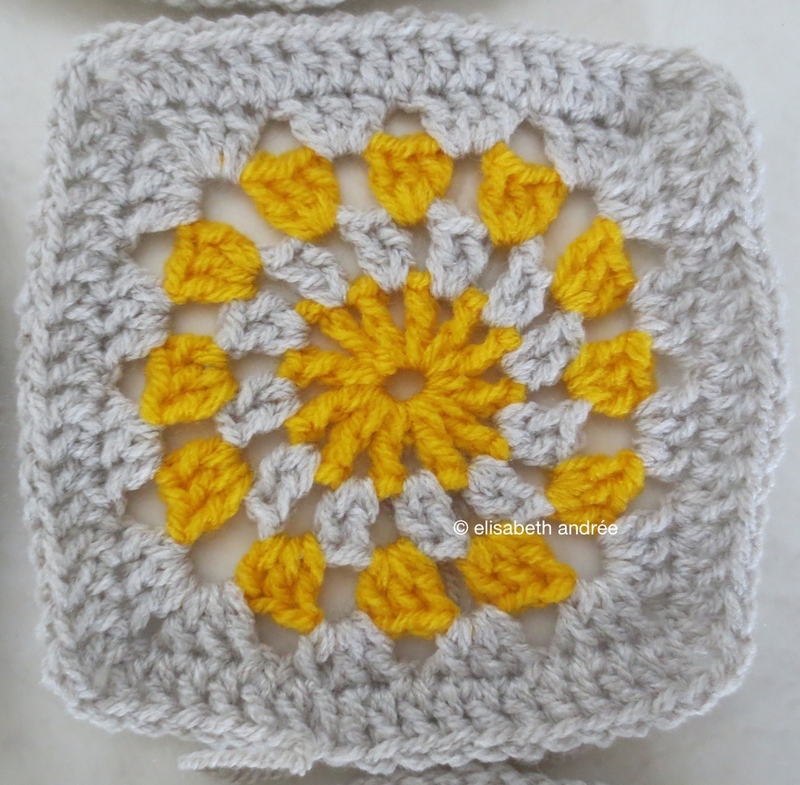 Categories: crochet | Tags: blanket, crochet, gray, square, squares, yarn, yellow | Permalink. 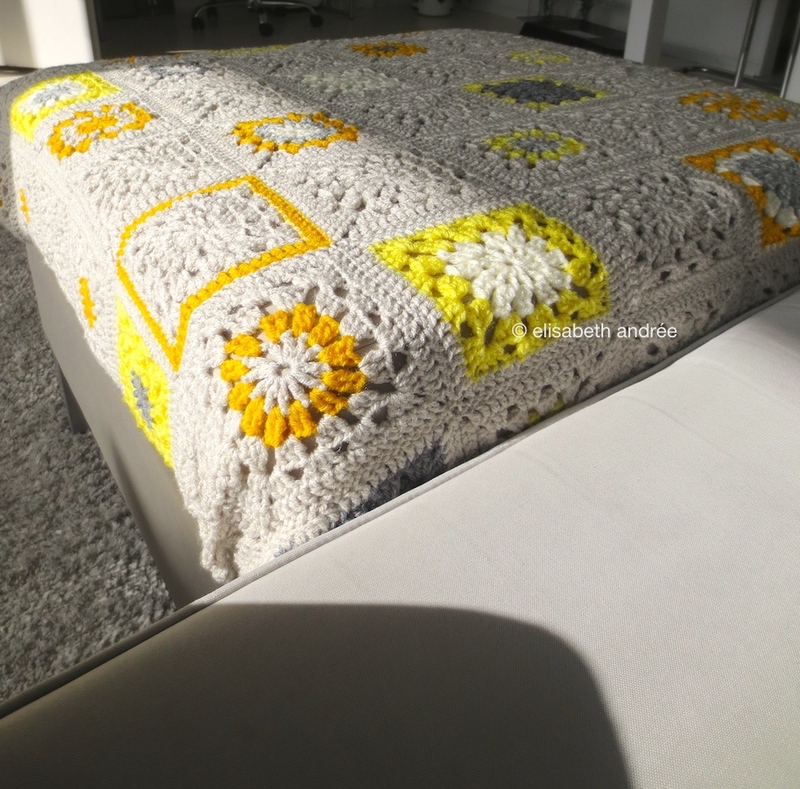 the blanket with the yellow and gray blocks is almost finished and i hope to put the pictures online later this week. do you have the time to try something? during the making of this blanket, i have used two different ways to start a row. i like it but i’m wondering if you also find it useful? besides the three starting chains, there are multiple ways to start a row like the standing stitches, tutorials for these are easy to find with a search on the internet, but i did it in a different way. for my blanket, i used this pattern for the square, but here you can also see a drawing (sorry, it’s ugly). 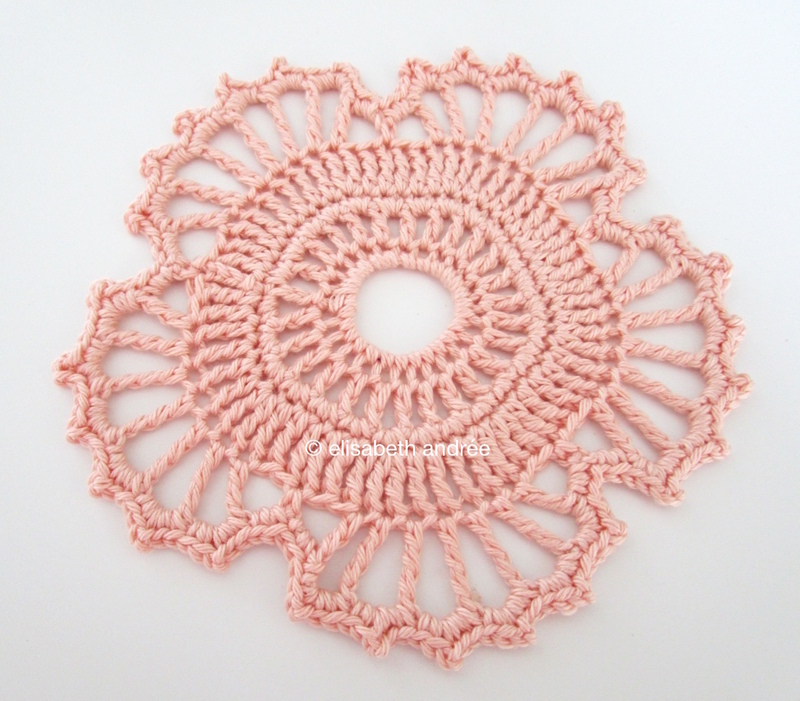 i thought it would be best not to copy and paste the pattern for the square and the other tutorial to this post, so therefore there are some links in de explanations below. hope you don’t mind? 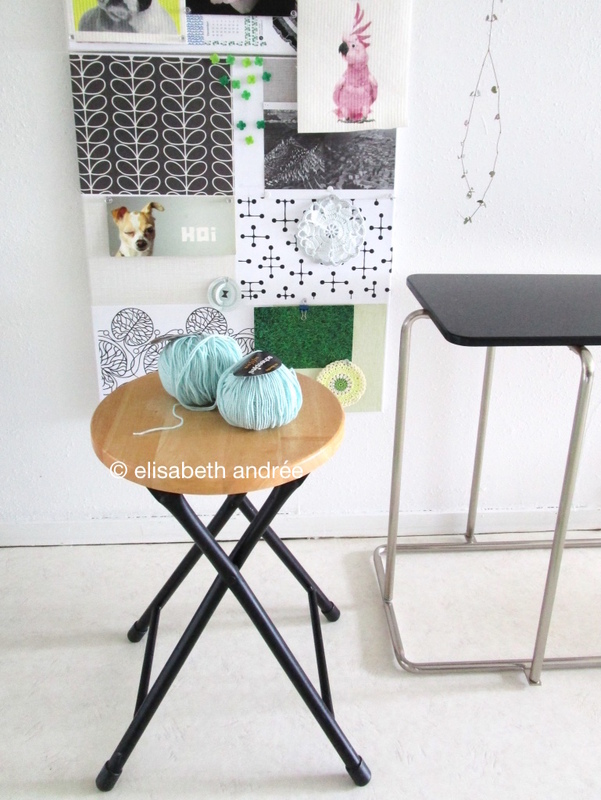 2. row 2 and further: attach the yarn with a new color with this method. you can use it for all stitches (sc, hdc, dc, tr), although it will be unhandy for the higher stitches, but making a treble this way should be fine. 3. you can at the end of the row finish off with a slip stitch into the first stitch and then weave in the yarn at the back of your work or you can use this way. i did both and for sewing the squares together like i did, the way with the slip stitch gives a little neater result, i think. 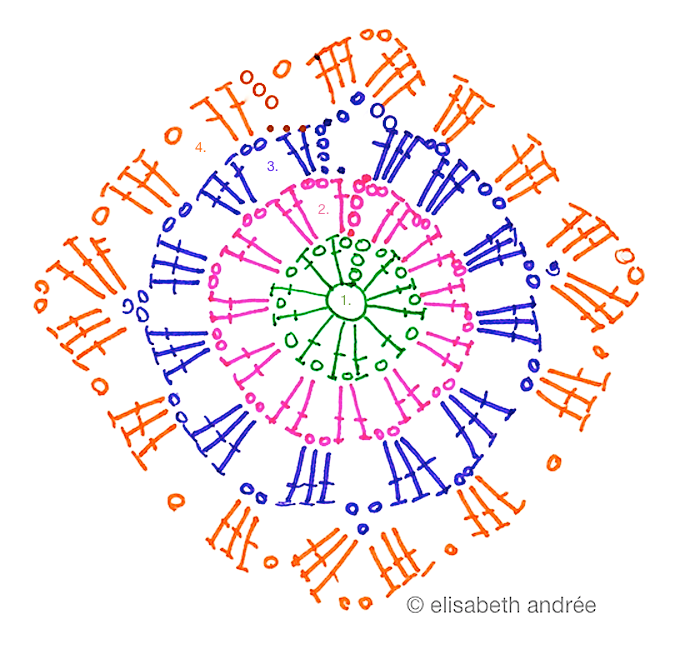 row 2: ss into first chain space and make 1 ch, 1 dc into same space, 2 ch, follow pattern until end of row, but end as follows: 2 ch, crochet 1 dc into the first chain space over the ss and the ch, ss into next dc. row 3: ss into next 2 ch space, 1 ch, 2 dc into same space, follow pattern until end of row but end as follows: 3 ch, crochet 1 dc into the first chain space over the ss and the ch, ss into next dc. row 4: ss into next dc, ss into next 2 ch space, 1 ch, 2 dc in same space, follow pattern until end of row but end as follows: 1 ch, crochet 1 dc into the first chain space over the ss and the ch, ss into next dc. 5. weave in yarn end. row 5 of only double crochets into all the stitches, also into the chains instead of into the chain-spaces, with in the corners 1 dc into the first chain, 1 ch, 1 dc into the second chain. also for this row you can use the methods as described above under A. and B.
hope you like to give it a try and tell in the comment section below this post about your experience? you can post a comment until 45 days after today. 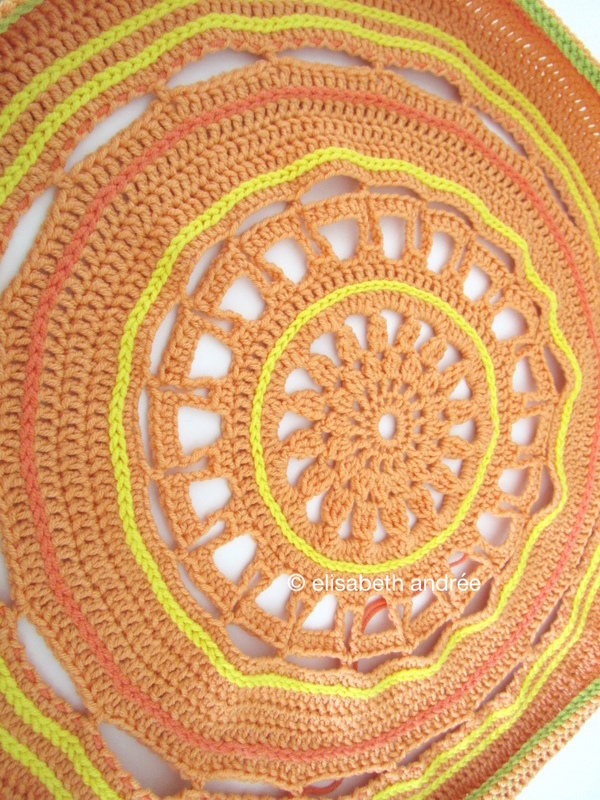 Categories: blogging, crochet, tutorial, wip | Tags: blanket, crochet, square, squares, wip, yellow | Permalink. here where i live, it is autumn with all the beautiful colors that go with it and it’s lovely weather to be outside. the past week i crocheted a pile of squares and with a few balls of greige-colored yarn left, i only have a small stack of uni-colored squares to make. i could not resist to play with the layout on the floor and i must say that it is a challenge to get it pretty. it isn’t looking good yet, but this is what i like to do, play with colors, which makes me forget time. thanks for visiting! hope to see you soon again?! 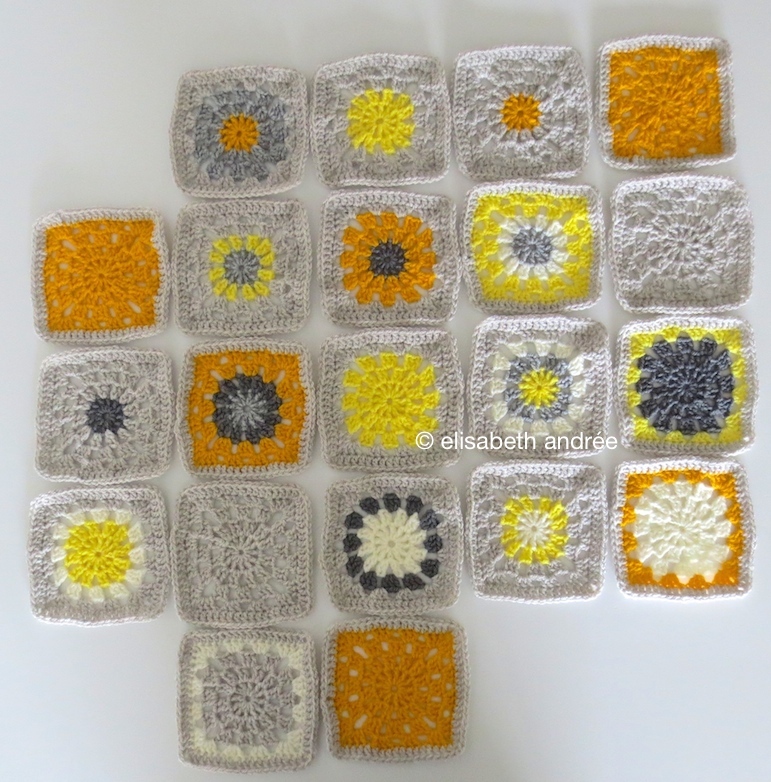 Categories: crochet, wip | Tags: blanket, crochet, square, squares, wip, yellow | Permalink.